1. Glass coasters you can fill with baby pictures, pictures from your last family outing, pictures from your last family vacay, etc. 2. 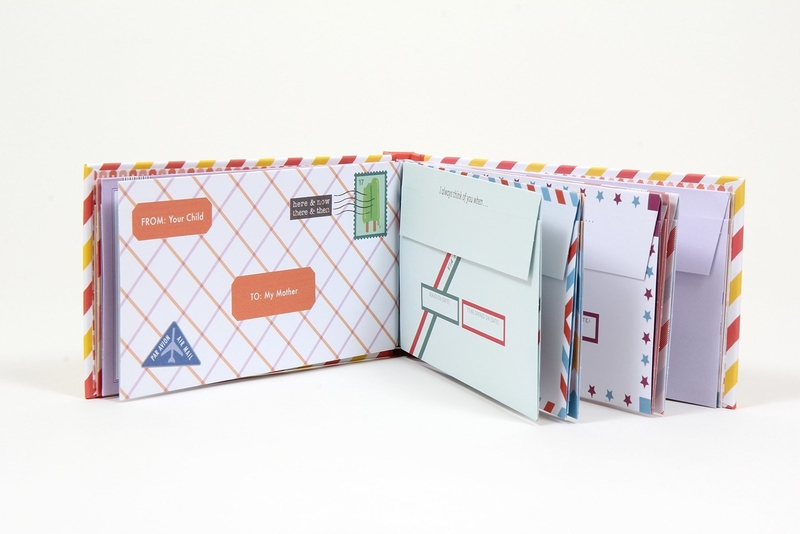 A letter book filled with 12 fold-and-mail letters. Each letter has a different prompt, like "I always think of you when..."
3. A vinyl record that lets you use your own audio recording. Psst, this super sweet gift is compatible with all record players! Just call this number (844-899-8695) to record up to a minute of audio! Who needs Abbey Road Studios when you have a cell phone, am I right? Get it from Vinylgram for $24.99 (originally $29.99). 4. A bar necklace sure to raise the ~bar~ for Mother's Day gifts. This can be engraved to match your handwriting. You have the option of choosing silver, rose, or gold, as well as 9 different chain lengths. Just send in a pic of a signature, handwriting, and/or message you want to appear on the necklace when you go to submit your order! Get it from Caitlyn Minimalist on Etsy for $29.95+. 5. OR! If bracelets are more her thing, this handwriting bracelet is a breathtaking, gorgeous, OMG-how-thoughtful option. Get it from Caitlyn Minimalist on Etsy for $27.75+ (originally $37, available in gold, silver, and rose gold as well as in nine sizes). 6. A 3D greeting card you can customize with a box design, message, photos, and little add-on gifts (like bath fizzes and sea salt caramels). Also, the photos in this card are perforated (meaning you can tear 'em off and display 'em)! Win. Build your own Greetabl here. 7. 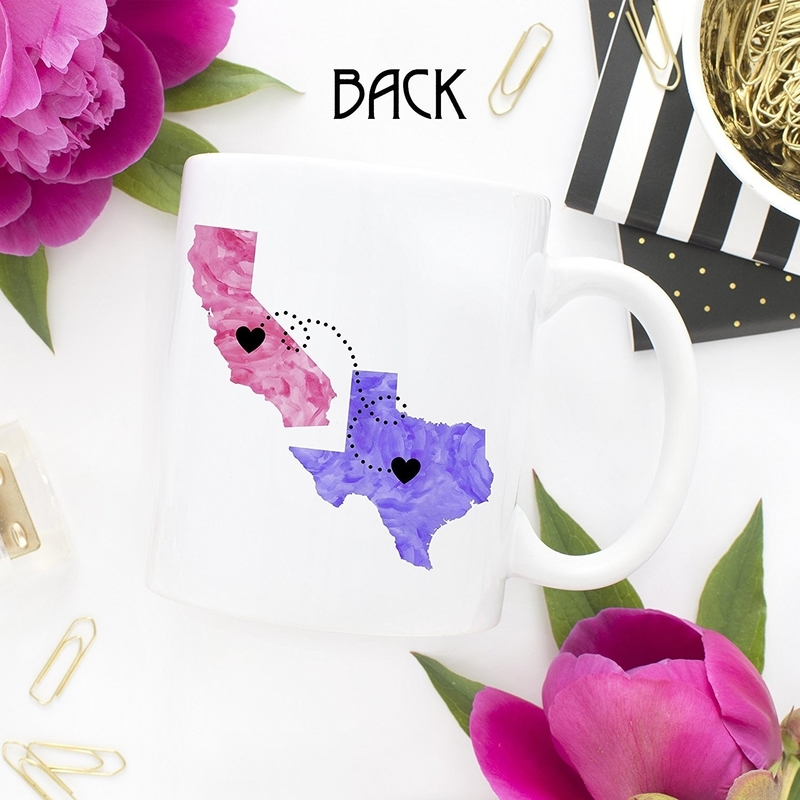 A long-distance mug that is the ideal gift from kids who live in a different part of the country than their mom — you get to customize it by state! These dishwasher- and microwave-safe mugs come in two sizes, can be customized with nine different colors, AND come with a gift wrap option — because we all know that gift wrapping is a huge burden, okay? Let's just admit it. Get it from Cupology on Amazon Handmade for $19.95. 8. 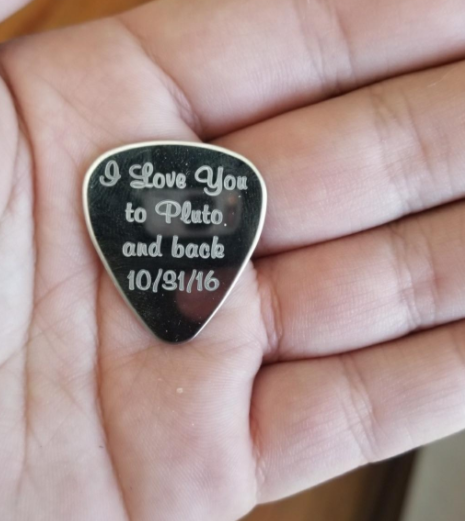 A guitar pick to really pull her heart...strings. This says, "if I could choose any mom in the world, I would ~pick~ you". Of course, it doesn't *actually* say that, you can have it say anything you'd like! 9. An illustrated magnet of you (or your pet's) face. You know, to stare back at your mama every time she opens the fridge. Psst, these illustrated magnets are handmade! Who knew your fridge was capable of being so damn artistic? Get it from Kit Atlas on Etsy for $18+. 10. OR! 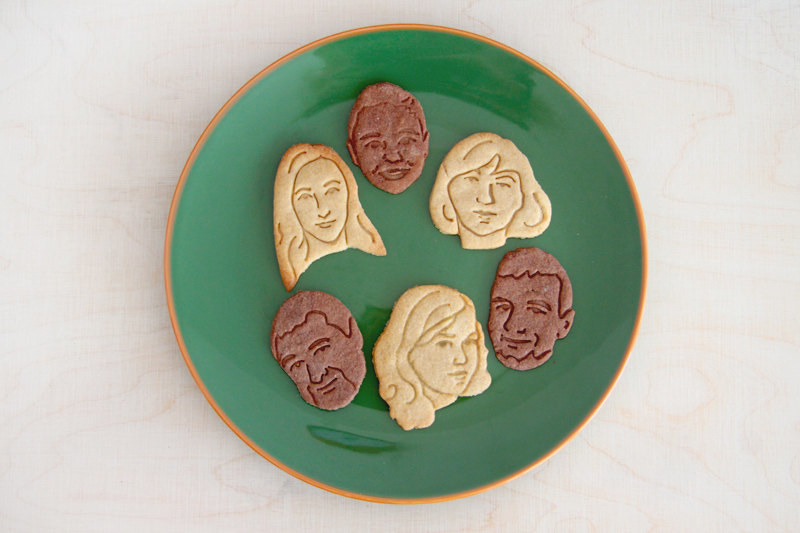 A custom cookie cutter because nothing says "mmmm, delicious" quite like your face does. Am I right? 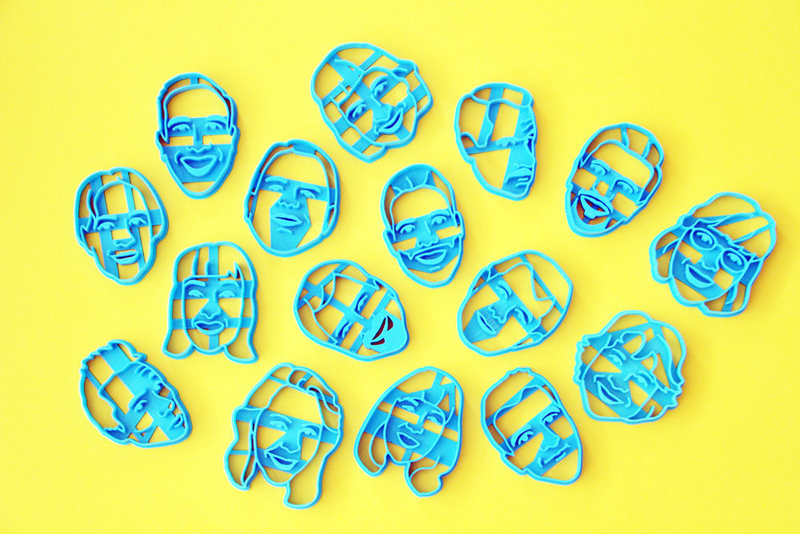 This cookie cutter is made from a biodegradable plastic through 3D printing technology (that's so crazy?). All you need to do is submit a photo of yourself, or your sibling, or your parent, or your pet. Whoever! 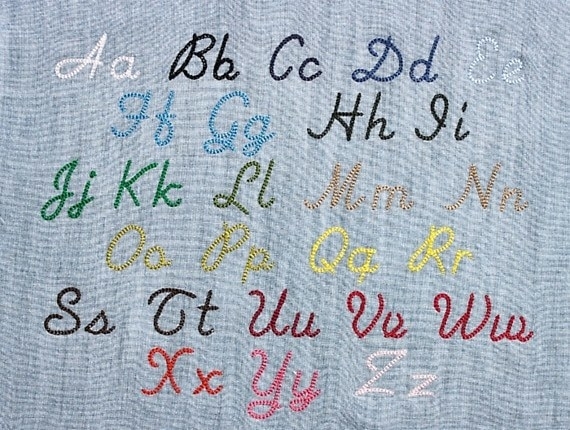 Get it from Cookillu on Etsy for $21.43 (originally $26.79). 11. A bottle opener because HEAVEN KNOWS there are never enough of 'em in one house: half are lost, half are broken. But this one is sure to be cherished. 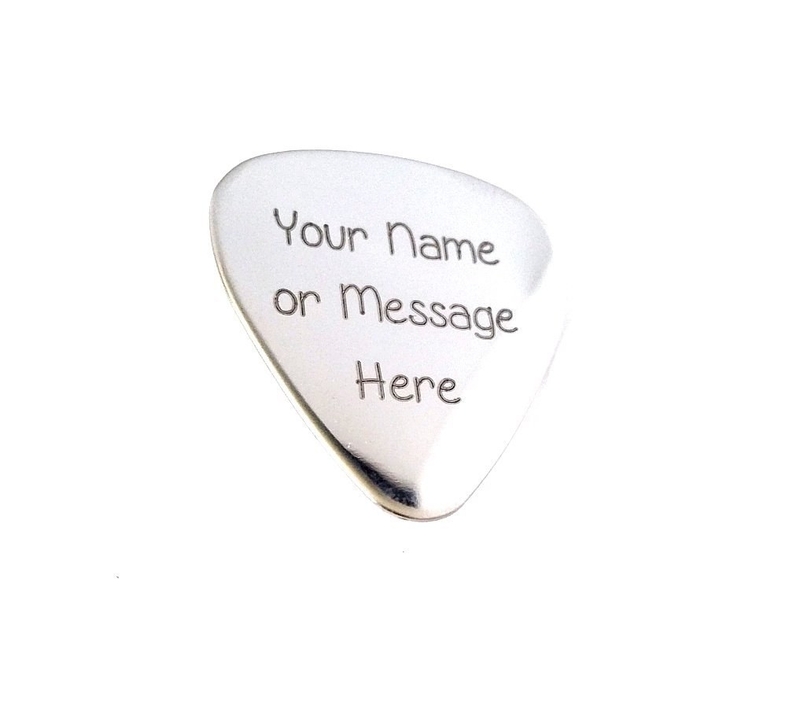 And yes, you can personalize it to say whatever you'd like. And just stick these babies in the dishwasher when they need to be cleaned because, yep, they're dishwasher-safe! Get a set of four from Amazon for $30.44+. 13. 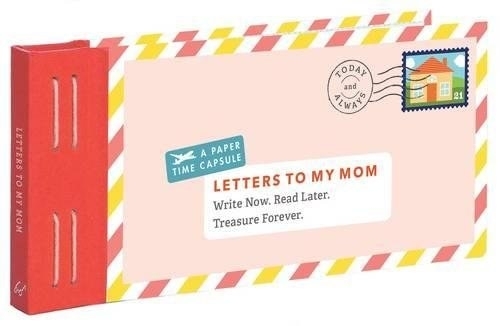 A stationary pad so your brilliant mother can list all of her brilliant ideas. Because boy oh boy, does she have plenty of them. You can personalize this 50-page pad with a whole bunch of different colors, plus you have the option of adding return-address enveloped and a magnetic strip in the back. Fridge-friendly, folks. 14. 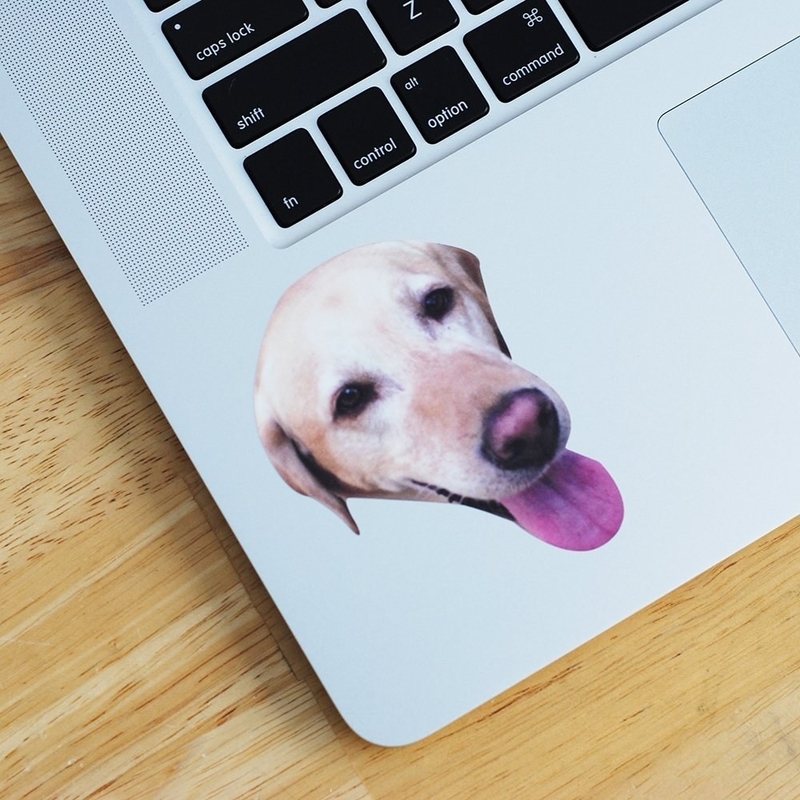 Photo stickers so your mom can add her VERY GOOD BOY to any surface. Laptops! Cell phones! Notebooks! So much happiness. Also! 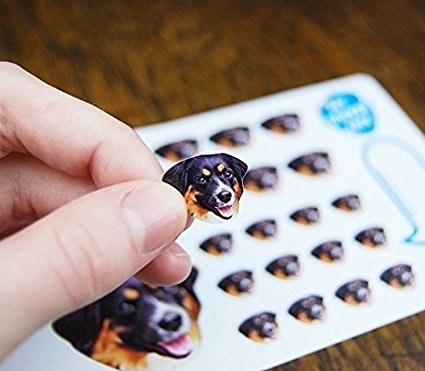 These stickers are waterproof, microwave-safe, and dishwasher-safe. Yeehaw. Promising review: "I gave these to my sister for her dog's birthday this year and she LOVED them! It was such a cute, personalized gift that really meant a lot to her — especially for the price! Sometimes personalized things are so expensive, but this price was great. Will definitely purchase again!" —Kelly O. Get a pack of 23 assorted stickers from Amazon for $11.99. 16. 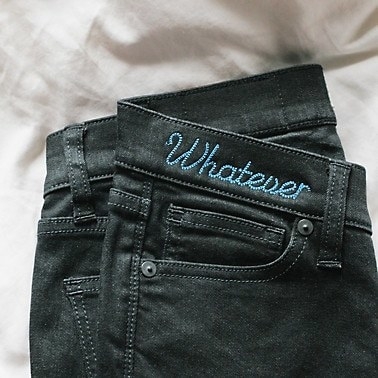 Monogrammed clothing that your mom will wear 24/7, all the damn time. Jeans! Chambray shirts! Denim jackets! So many options! Personalize clothing at Madewell here. 17. Custom recipe cards for the mom who ALWAYS MAKES THE BEST LASAGNA and there must a secret recipe behind it. There has to be. You know how Plankton is always trying to get the secret Krabby Patty recipe? I feel like my mom has one of those too, but for lasagna. HOW is it so good wtf? Get a set of 20 from Paper Source for $26.28 (you can get up to 400). 18. A photo candle that looks great, but more importantly smells great. You can choose from 29 ~scent-sational~ scents. Fresh cut roses! Pumpkin! Lemon lavender! The delicious options go on and on. Plus, you can get this candle in a few different sizes: votives, small tumblers, large tumblers, and larger jars, to be exact. Get it from Yankee Candle for $22.99+. 19. A birthstone necklace so your mom can keep her favorite people (AKA you) close to her heart at all times. Just leave a note for the seller with the names you would like engraved as well as their corresponding birthstones! Get it from vintagestampjewels on Etsy for $25+ (available in silver, gold, and rose gold and in five lengths). 20. A scrapbook that doesn't involve glue and scissors, thank you very much. Just use Instagram, Facebook, or Google Photos to upload your images! You can also add captions to each of the images, as well as choose between a whole bunch of cover designs. Create your own book at Chatbooks starting at $10. 21. A laptop sleeve to commemorate the family vacay you took to Disney World in 2008 that everyone still talks about it. Never forget. Not into the laptop case idea? No prob! You can use your own photos to customize alllllll your tech cover needs: cell phone cases, Kindle cases, iPad cases, included. Personalize your devices at Caseable starting at $27.90. 22. A shampoo and conditioner individually designed to suit your mom's hair: she just has to take a quick hair quiz to find her perfect match. Personalized shampoo will basically turn shower time into spa time without the spa price...because sadly, budgeting is REAL. The hair quiz asks about your hair — thin? curly? oily? etc. — as well as what five of your hair goals (strengthening, volumizing, oil control, etc.) are. You also get to choose the color of your shampoo as well as the fragrance! Get a personalized shampoo and conditioner from Function Beauty starting at $36. 23. 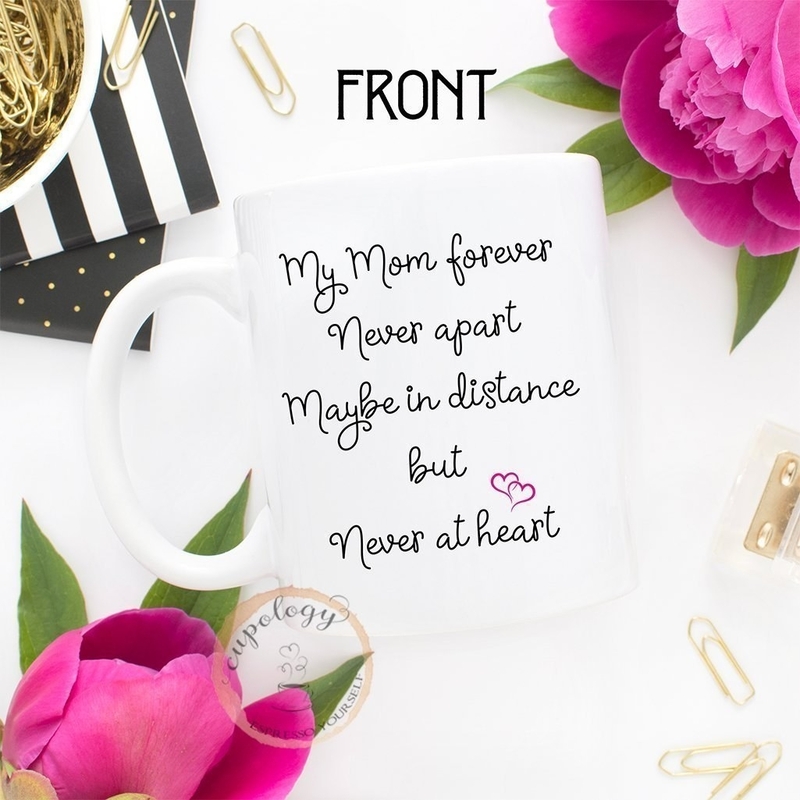 A 252-piece photo puzzle because you do, after all, love your mama to pieces. Boom boom chhh. Get it from Personalization Mall for $26.99. 24. Family mugs that give a whole new meaning to the phrase mug shots. These give your morning coffee a healthy, much-needed dose of art. Get them from Uncommon Goods for $30+. Get them from Mira Jean Designs from Etsy for $125+ (available in six sizes).